Would you like to know about the top 5 mistakes made by contractors when providing service? 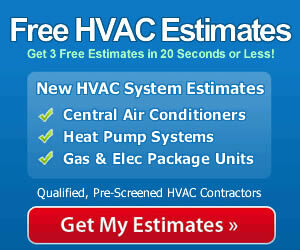 Most HVAC contractors work with integrity and do their very best to meet their customers’ needs. But that doesn’t mean they don’t mess up now and then. Here at the top 5 contractor mistakes and how you can avoid being the victim of them. #5: Poor Indoor Air Quality — Consumers are more aware than ever of the quality of the air inside their homes. Air quality should be a chief concern of an HVAC contractor as well, especially since there are fantastic products on the market that can eliminate up to 99% of the pollutants, irritants and allergens from the air that flows through them. Be sure to ask your HVAC contractor what options you have for advanced filters and for accessories such as electronic air purifiers. This is especially important if anyone in your home has allergies, asthma, C.O.P.D. or other breathing-related problems. #4: Improperly Sized Ductwork — If the HVAC contractor installs ductwork of the wrong size, you won’t get balanced heating and air conditioning throughout your home. Undersized return air ducts are a serious problem. If the system isn’t getting enough return air, it will be very inefficient and will cause the compressor to work way too hard. Ask your contractor to do a Manual D analysis to determine the right sized ductwork for the system and the home. #3: Poorly Sealed Ductwork — As much as 10% of the treated air (heated or cooled) can be lost through poorly sealed ducts. The answer? DUCT tape! We use it for everything else…make sure your contractor uses duct tape and other appropriate sealing products to ensure that the air your system treats gets to where is needs to be. #2: Refrigerant Leaks — Fittings on refrigerant lines have to be carefully tightened. Being too tight can damage the brass fittings. In response, some HVAC contractors don’t tighten then enough and refrigerant leaks over time. A system running on too little refrigerant will labor to get the job done and will be prone to early mechanical failure. A corresponding problem is that sometimes HVAC contractors don’t take the time to check refrigerant levels when doing maintenance such as coil cleaning. The refrigerant level should be checked and adjusted every time the system is maintained. #1: Incorrectly Sized System — The most common mistake HVAC contractors make is installing a system that does not have the proper capacity for the home. Most often, contractors err on the high side — they’d rather install a system that is too large rather than too small. However, neither is good. An undersized system won’t offer sufficient indoor comfort and will run too hard. A system that is too large won’t adequately remove humidity when cooling. The key to having the right sized system installed is for the contractor to do a complete Manual J load calculation that takes into account the home’s size, layout, insulation, climate and more. It’s not okay to simply replace a 15-year old 3 ton condensing unit with another 3 ton condensing unit without doing a fresh load calculation. In those 15 years windows and doors may have been upgraded, a layer of insulation added to the attic, or the home may have been re-roofed. All of these can affect the size system required. Insist that your HVAC contractor take a “Goldilocks” approach with a Manual J, so your system will be just the right size. These are the top 5 mistakes made by contractors when providing service and each one of them can be avoided with a careful, calculated approach to designing and installing the system. Discuss these issues with your HVAC contractor ahead of time. When they know that you are an informed consumer, it will keep them on their toes, delivering the best service possible.